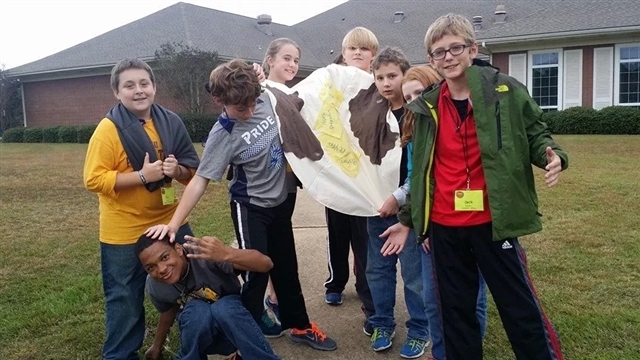 More than 200 youth from 30 churches from throughout the Louisiana Annual Conference participated in the 2014 Junior High retreat held Nov. 7-9. 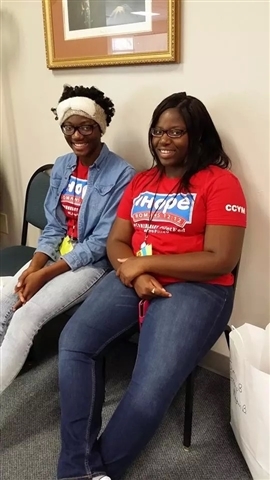 The theme, IHope, challenged the youth to #comehungry, #getfed, and #livefilled. Rev. Matt Rawle, pastor of The Well UMC in Ponchatoula and keynote speaker for the retreat, encouraged the youth to "embrace who they are, spend silent time with God and stay in community." The youth also participated in the 2014 Louisiana Skeeter Run, which was held at The Wesley Center on Saturday morning. 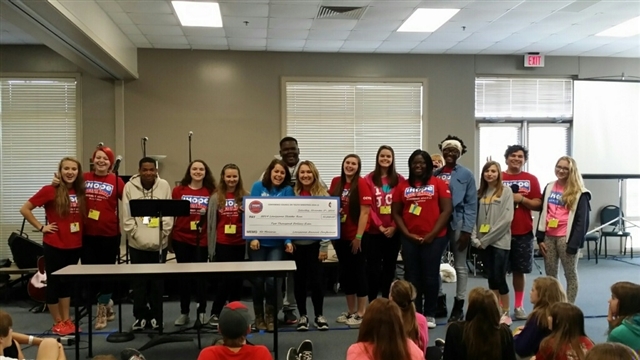 As part of that effort, the group raised a total of $2,000 for Imagine No Malaria, a global initiative of The United Methodist Church. The Rise band from First UMC in Monroe led music for the weekend and did an amazing job encouraging the youth to praise God with a happy heart!